They were quick, efficient and very nice to do business with. - Karyn L.
Great service - Sandra c.
Awesome. Super fast great professional experience - Paul W.
***I’d never hesitate to refer him to my friends and family! - Patricia h.
they show up on time and do a good job, I will use they again in the future. - Ken c.
Customer service was great. The turnaround time was very fast from the time I requested a quote, and Carl was very helpful in putting together a quote for a windshield replacement. Unfortunately, the price quoted for windshield replacement was substantially higher than a quote received from a local outfit. - Jason W.
Great service and Staff - Paul A.
Joseph did a great job - Frank J. Good, fast service at a very reasonable price. - Malcolm K.
Love it - Kjelli M.
I was very pleased with the excellent service and friendliness of the installer. Thanks, guys. - bob g.
Fui muito bem atendido! Recomendo! - Francisco B. Excellent service - roland r.
Glass looks great and service was fast. Only complaint I have is that the 3% charge for using a card was not mentioned until the time of payment. Only giving my wife my credit card she had no other choice but to use that. Overall the glass looks great but the person who serviced my window didnt clean the glass out of the side pockets where a lot of it still remained. - Chase G.
Very happy with the prompt and professional service. Would highly recommend! - Kimberly D.
Man who came was very polite and helpful. - Alex C.
Excellent service!!! Fair price and extremely fast! - Pamela F.
They were wonderful. On Time, great work and reasonably priced. Thank you - Debby T.
It was a good job done in no more than 1 hour super friendly people no problems at all - Josiah O. Service was excellent.Job well done the only issue I had Was I need a receipt. Email that and it will be a 100% Perfect - John H.
I highly recommend Pristine Mobile Auto Glass. They came out on a Saturday morning to fix my broken window. I needed my window fixed ASAP and they were able to accommodate this. Eddie arrived early, cleaned up the broken glass and replaced the window in less than an hour. He was courteous and very professional and did an outstanding job. It was super convenient having them come out for the repair, saving me time! - Michael F.
There were some text messages that were mistaken and delayed the job - Mar V.
Customer service was great. Very quick response. Thank you Accuracy Glass. - Kimberly G.
Good job Thks - Gregory B. Awesome service! - Carl B. Our experience was absolutely amazing! We did our quote online and within three minutes, my windshield was scheduled to be replaced the next day. The installer called the next morning with the time he would arrive, just as it was promised. He showed up and replaced our completely smashed in windshield so fast. Very happy with the end results! Everything was handled so quick and efficiently. Highly recommend using this site to have them come to you to replace your windows/windshield. Thank you for everything! - Cat S.
first class! great communication. terrific price. Brent did a terrific job. Highly recommend! - patrick k.
These guys are amazing. Fast and friendly! Gave me a bit of a discount when the replacement glass came in damaged and delayed the process. The technician that came to replace the glass was very polite and kept me informed. He worked quickly it had my glass replaced in under an hour. I would definitely recommend these guys to friends and family. - Jamie M.
Great work - Steve D.
Quick service! - Charles S.
They lived up to exactly what they promised. In and out in an hour. All for what they quoted me. Totally professional!!! - Wes M.
Taylor was very helpful and informative. Friendly service. - Gabriel B. How much does it cost for windshield repair? Windshield damage is all too common. It takes very little to chip glass - a small rock thrown by a big truck ahead of you can have devastating repercussions. At Glass.net, we understand that, which is why we created the industry's most in-depth system. With just two steps, we can send you three quotes from auto glass repair providers in town, allowing you to compare and save both time and money. Why go it alone? Glass.net has the tools you need to make an informed comparison. Auto glass repair is not only possible, but likely if the damage to your auto glass is not severe. In our car window repair quotes, we'll detail the total cost for repairing the glass in question. Auto glass repair techniques are faster and more affordable than replacing the entire windshield, and most drivers cannot tell where the damage was prior to our partners repairing the crack or chip. Glass.net partners with outstanding, proven professionals in the auto glass repair industry. They utilize the highest quality materials and techniques to fix damaged glass. If your windshield cannot be repaired, they can replace the glass completely, including the water seal to prevent leaks. All glass meets or exceeds OEM specifications as well, giving you a strong, durable windshield that will stand the test of time. Is your windshield damage minimal? Have you been searching for windshield replacement near me all day?! Chips and small cracks are easily repaired by a professional. Not sure if your situation qualifies for car windshield repair? Our expert partners can tell you. 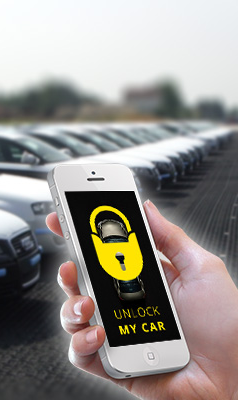 All you need to do to get started is provide us with your zip code and your car's make and model. We'll do the rest. In just a few seconds, we can deliver up to three quotes from professional auto glass repair companies in your area, and stop that damage before it worsens. Compare auto glass replacement from leading glass shops now! For most people, auto glass replacement is simply no fun. Who wants to spend all day searching for auto glass repair near me and not find local windshield repair shops in their area? Finding a qualified professional for windshield repair is time consuming and frustrating. Glass.net makes things simpler. Just provide us with a few pieces of basic information, and then choose one of the windshield replacement quotes we provide you. It takes only seconds. Our partner shops use only OEM-quality replacement glass and seals with each windshield replacement, and many can have your windshield replaced within just 24 hours. Simple. Easy. Hassle-free. That's how windshield replacement should be. 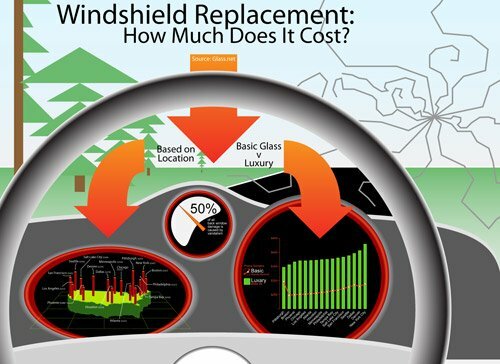 Can you imagine your car without auto glass installed in it? Seems kind of silly to consider at first, and then it begins to paint a dangerous picture. The road debris that would fly in your face, the bugs that you'd be accelerating into, the possible fast flying stone; or perhaps the fact that your air conditioning would blow right out of your vehicle's cabin, practically unfelt. And in the winter? Forget it. You couldn't possibly drive at high speeds when the temperatures are already freezing and wet-you'd likely catch hypothermia! All of that may seem minor, until of course you consider that your windshield and autoglass contribute up to 60% of your vehicle's overall cabin strength! Or that properly installed auto glass can hold up to 1.5 times your vehicle's weight. Or yet another little known fact-which is that your auto glass is designed to prevent you from ejecting from your vehicle in an accident-since ejecting from your vehicle gives you a high chance of possibly dying. Now imagine getting into a head-on collision, or a rollover accident without your auto glass. Yikes! Auto glass is the unsung hero of our vehicle. It takes all the filth of the road, keeps us cool in the summer and toasty in the winter, and is an integral safety feature of our car's structural integrity. 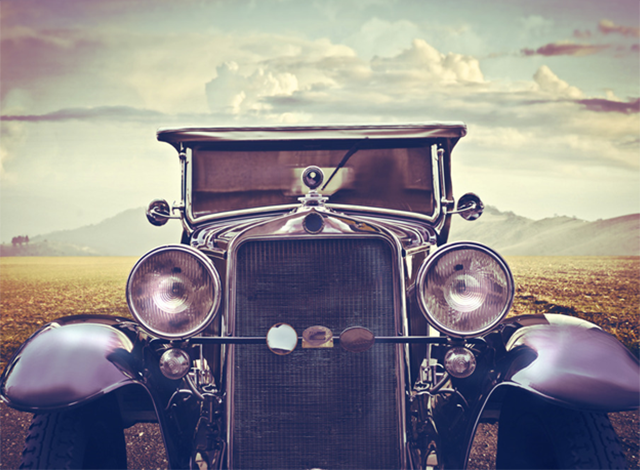 The popularity of early automobiles was stoked into a red-hot frenzy over a period of 20 years. This period was known as "brass era" cars, as manufacturers were playing with the design and power systems of vehicles in a variety of ways. Horseless carriages, as cars during the time were known, could be powered with petrol (gas) engines, steam engines (which were quite popular at the time), and even early electric systems. As cars rose in popularity, most early drivers would wear goggles to protect their vision. Of course this didn't prevent other road debris from smacking them or the passengers of the vehicle in the face as they cruised along. With the rise of popularity, along with the increase in vehicle speed, the use of auto glass began. Early auto glass was a "windscreen" that was designed much like a window you would find in a house. 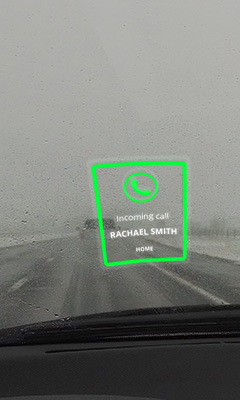 If the glass became too dirty, the driver could lower the horizontally divided window, and continue driving with clear vision. Since most drivers still wore safety glasses, this was rarely an issue. What did become an issue, was the fact that whenever a stone hit the glass, if the driver went over notably rough roads, or if the car got into even a minor fender bender, the glass would shatter and lacerate the driver and passengers. More injuries were incurred from auto glass breaking in a vehicle, than from the actual auto accidents during that time period. In 1903, French chemist Edouard Benedictus accidentally discovered shatter-proof glass. After filling a glass beaker with dried collodion film, he accidentally dropped the beaker on the ground. To his surprise, the glass did not shatter, but rather cracked without breaking apart. This inspired Benedictus to experiment with and further develop this newly discovered "laminate" glass. In 1911 he formed a patent and even went on to form the Societe du Verre Triplex, for the purpose of producing a composite of glass and plastic for use in automobiles. Around the same time, John Wood of England had patented another type of laminate glass for safe use in automobiles. His version of laminate glass differed because it was produced by sandwiching Canadian balsam between 2 panes of glass. Despite these radical discoveries in glass safety and strength, laminate glass wasn't widely used in vehicles until after World War I. Up until that point, normal sheets of glass, and occasionally tempered glass (which goes through a series of heating and cooling treatments to strengthen the glass) had been the de facto auto glass in most vehicles. There are conflicting stories revolving around the initial implementation of auto glass in the majority of vehicles. Some accounts say that in 1918 Henry Ford was looking through the rear window of a Model T, and upon seeing that the view was distorted, he decided the vehicle needed improved glass. Another account reports that after a series of nasty lawsuits in which glass shattered and hurt the driver and passengers of various vehicles, in 1926 Henry Ford decided to implement safety glass in all of his vehicles. Either way, Henry Ford needed to produce less expensive glass-the production of Triplex glass was not only very time consuming, but was also very costly. As the demand for fully enclosed vehicles rose, the price of glass had continued to rise nearly three-fold. Ford slowly began rolling out vehicles with the option to upgrade various vehicles with installed safety glass, starting in 1919. By 1926, safety glass was utilized in every Ford vehicle that was available for purchase. The laminate auto glass that we use today was developed in 1927, by Canadian chemists Howard W. Matheson and Frederick W. Skirrow. The two chemists invented polyvinyl butyral (PVB), which was sandwiched between 2 panes of glass that had undergone tempering treatments. Ultimately, in 1936, the majority of United States car manufacturing companies began using the PVB laminate auto glass because it had been discovered that unlike laminate glass that was made with collodion film or Canadian balsam, PVB auto glass did not discolor over time. It also was much harder to penetrate in the event of an accident. A mere five years later, PVB safety auto glass had all but replaced the earlier versions of safety glass altogether. Even though safety glass became widely used by most car manufacturers, it had yet to be given a standard for quality and safety by 1963. At this time, Ralph Nader-a lawyer and consumer advocate who later went on to campaign for presidency on three separate occasions-released his book Unsafe at Any Speed. While his book was not directly aimed at auto glass or windshields, it brought to attention the fact that many car manufacturers were making design decisions based on comfort or aesthetics, rather than driver and passenger safety. Today, several auto glass safety and training organizations exist to help ensure the proper and safe installation of auto glass in all vehicles. For instance, an installer can join the Independent Glass Association (IGA) for additional training, certification, and recent industry updates in auto glass safety and technology. Another organization, the Auto Glass Safety Council, formed in the late 1990's. This organization brought together windshield manufacturers, car makers, adhesive companies, and auto glass retailers to really focus on consumer safety and technology. In 1999, they formed the Auto Glass Replacement Safety Standard (AGRSS). Several glass shops and installers who were focused on consumer safety voluntarily became AGRSS certified-and today it is considered a must-have standard for any auto glass professional or shop to attain. 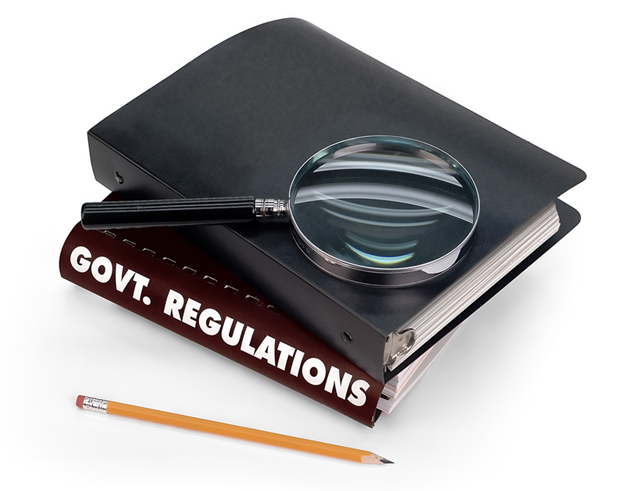 There are several other organizations that cover consumer safety and auto glass professional education, such as the International Automotive Glass Federation or National Windshield Repair Association. At the end of the day, when considering a place for auto glass or windshield repair or replacement, it's best to find a shop that has technicians with certification and ongoing education of some sort. Modern cars have a plethora of complex and often sophisticated technologies built into the windshield. For example, windshields are growing longer, more curved, and some are even taking over a larger portion of the vehicle's overall structure such as the roof or even wrapping along the side of the vehicle. The original fabricators of auto glass could only dream of the shapes and strength that safety glass can be manufactured and molded into. Today's windshields often filter 95-99% of UV rays. In the 90's a film was developed with dye to absorb heat-therefore reducing the infrared rays of sunlight from passing through to passengers in the vehicle, and helping to control the heat within a vehicle. Even more advanced today are the ceramic or crystalline particles that can be mixed into the chemistry of auto glass to block up to the entire infrared spectrum from entering a vehicle. In fact, Pilkington recently announced the development of smart glass with particles that suspend liquid, and another technology in which the glass actually absorbs and/or repels dirt and other debris, therefore removing the need for a driver to clean his auto glass altogether. Many car manufacturers are working on heads-up displays with sensors built into the auto glass of a vehicle to provide important data. Some modern iterations would help a driver during adverse weather to locate the edges of the road and create a laser outline of the edges so that the driver doesn't drive out of their lane and put themselves into danger. Other iterations simply project important data such as speedometers or information on the condition of your vehicle, so that you aren't looking away from the road while driving. As technology has evolved, society has seamlessly integrated these incredible advances-and if you're reading this you can probably admit you barely think about it. However, it's amazing to think about how far we've come since the first iteration of horseless carriages. This might also shed some light on why auto glass repair or windshield replacement can be costly... and that's what we are here for. Get your local windshield replacement near me quotes today! Even with all the advances in auto glass, scratches, chips, pits, cracks, and breaks can still occur. Some of them will happen because of something as innocent as a rapid change in temperature or humidity. Others will occur from things you simply cannot control, such as a stone flying into your windshield on the highway. Even more unfortunate circumstances could lead to your auto glass needing repair or replacement-such as vandalism or extreme weather. While your auto glass is surprisingly strong, it's important to understand that it is essentially a netted pattern of molecular bonds. When even a few bonds are weakened or damaged, by extension the other bonds in the glass will also become weakened from trying to compensate for the damage. Over time, this stress and weakening takes a toll, and the damage begins to spread and spider out. In the case where the damage is bigger than a quarter, on any of your auto glass-windshield, side windows, or rear windows-it's time to get the auto glass replaced. Essentially, repairing the glass when it's already been damaged to the extent of a quarter or larger, you're just biding your time and greatly compromising the overall strength and structural support of your vehicle. Of course, after reading so much information on auto glass, you may be overwhelmed by the prospect of finding a properly trained auto glass installer who will use high quality auto glass in your vehicle. This is where Glass.net can help! Glass.net has the largest network of independent glass shops, who compete for your business. In 30 seconds or less, you can have up to 5 competing local auto glass replacement quotes. Each quote includes important information such as star reviews from other consumers, the certifications of the glass shop, the guarantees of the glass shop, and even if the glass shop does same-day service. Using the free, no-obligation, and bias-free tool on Glass.net takes the guess work and the stress out of selecting the right auto glass replacement shop for you budget and your lifestyle.